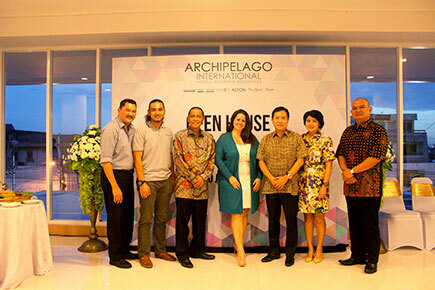 Yogyakarta, 24th June 2016 - Archipelago International, Indonesia's largest hotel management company, has recently announced the opening of a brand new corporate office in Yogyakarta to continue its growth in the Central Region. With a strong presence already in Jakarta and Bali, Yogyakarta will mark Archipelago International's third corporate office in Indonesia, with additional support teams in Surabaya and Malaysia. Archipelago International Yogyakarta office will provide support to more than 40 hotels around the central region, covering Central Java, East Java, and Kalimantan. The office will handle the sales, marketing, e-commerce, reservations, operations, and development of the market in the region as well as overseeing hotel projects under development within the area. Yogyakarta, often called "Yogya" or "Jogja", is a bustling town of around half a million people and the most popular tourist destination in Java. The town center is a hub of art, education, tourist attractions and a very lively shopping culture, and most recently, the city has also become known as a business and MICE destination with an increasing number of government and branch offices. Currently, Archipelago International holds seven hotels under its belt in Yogyakarta: favehotel Kusumanegara, favehotel Kotabaru, Hotel NEO Malioboro, Hotel NEO Awana, Harper Mangkubumi, The Alana Yogyakarta Hotel & Convention Center, and Grand Aston Yogyakarta. The Archipelago International Yogyakarta Office building is located on the first floor of the Nathan Building on Jalan Urip Sumoharjo No 65, Yogyakarta. It's right in the heart of the city center and just a few steps away from Grand Aston Yogyakarta, Archipelago International's 5-star hotel in the city. The open house was hosted on June 20th, 2016 and attended by the Archipelago hotel teams from Yogyakarta, Solo, Semarang, Rembang, Madiun, Bojonegoro and nearby. "We remain dedicated to providing our hotel teams with the best support we possibly can. Every year we work to make positive improvements for our teams, so opening a new corporate office is one of these important steps. Being closer together will allow our teams more opportunities to meet in person, engage in group activities, training and ultimately help us to stay on top of the trends in the region," said Tenaiya Brookfield - Vice President of Sales & Marketing Archipelago International.